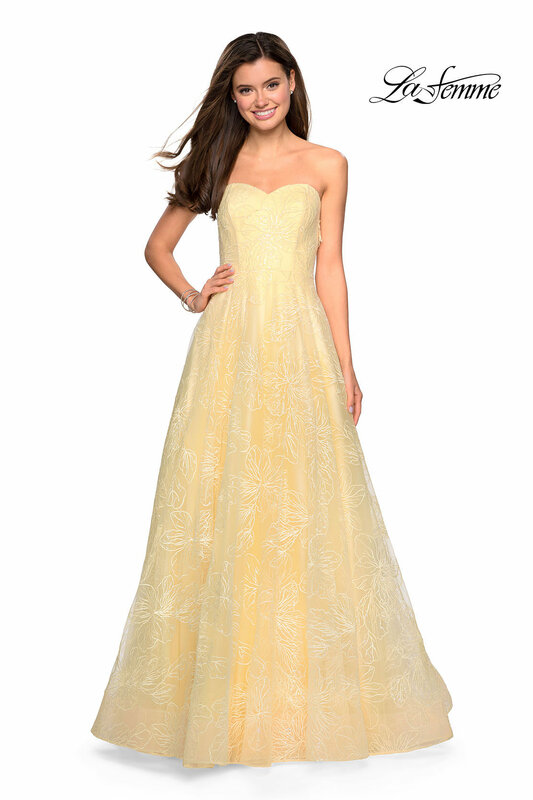 Turn heads in La Femme 27324! 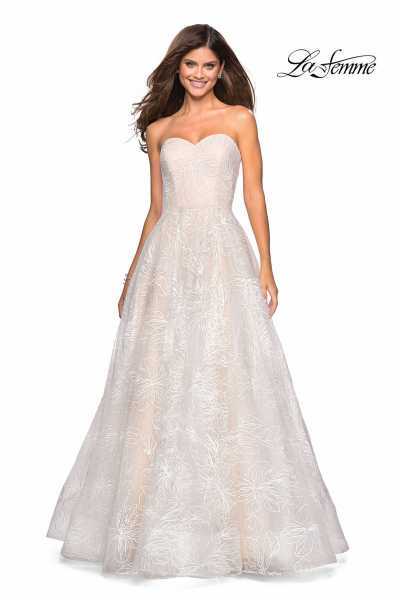 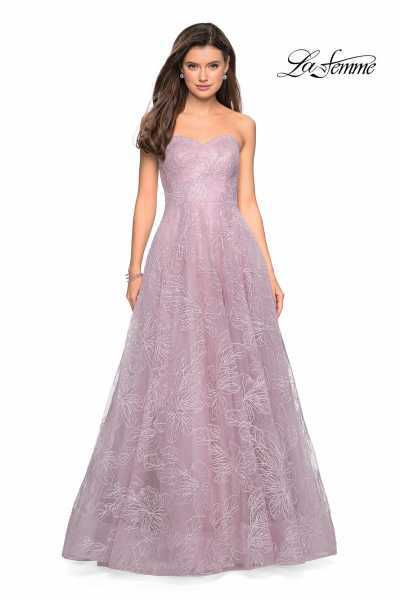 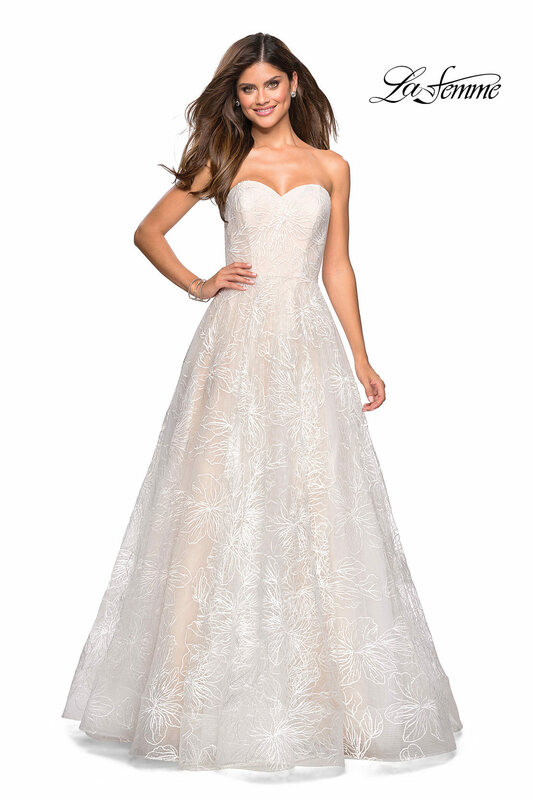 This stunning gown has a shimmering lace overlay. 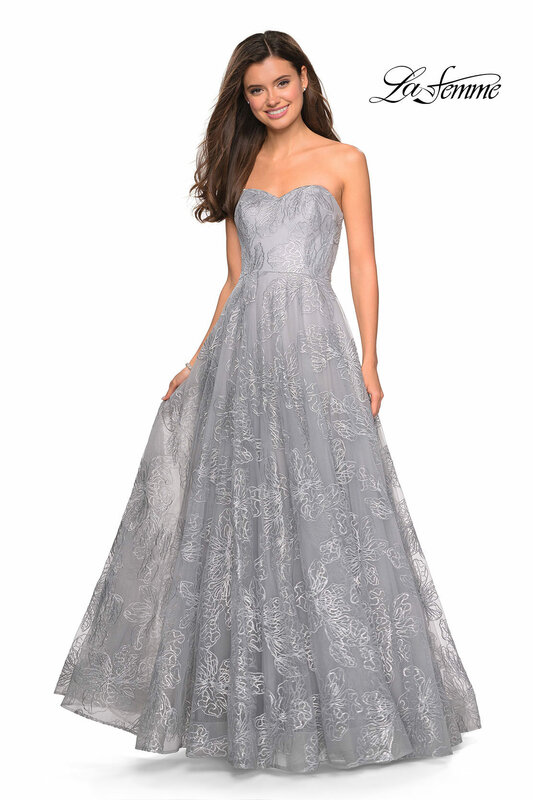 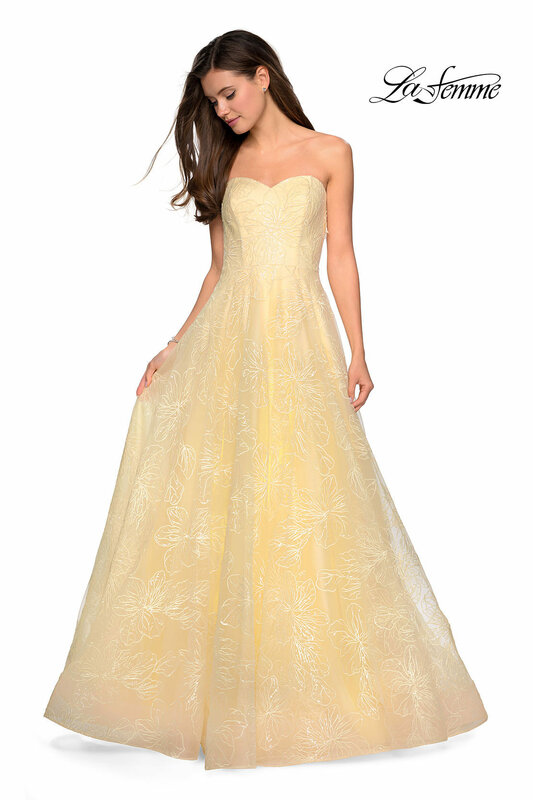 The silouhette is the figure flattering sweetheart neckline with an a-line skirt. 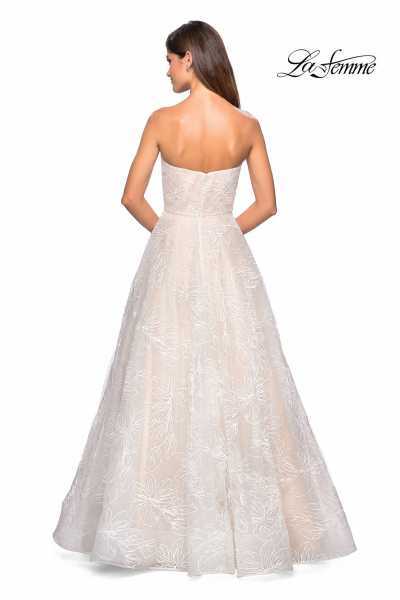 The back is simple and elegant with a zippered back. 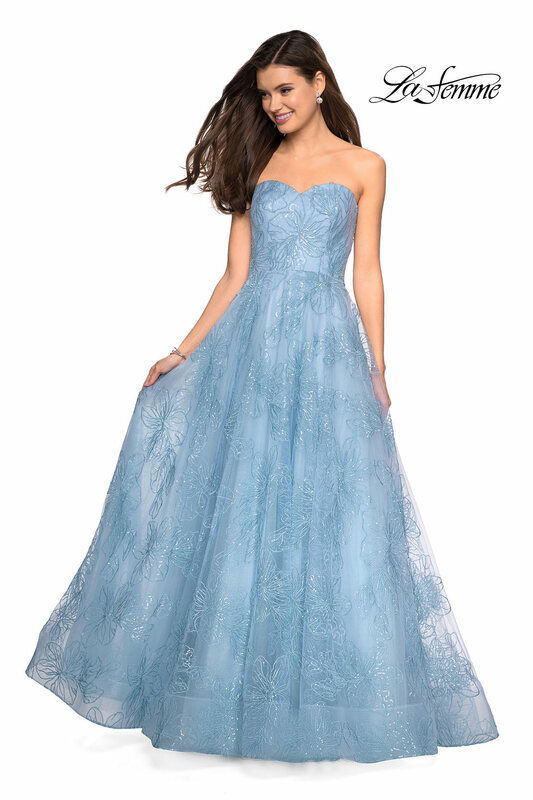 This dress comes in five colors to choose from.